Have you ever noticed that Yahusha was betrayed for the price of a woman? “WHERE THE IDEA OF YAHUAH’S CUP OF WRATH COMES FROM? 2) Speak unto the Children of Israel, and say unto them, When a man shall make a singular vow, the persons shall be for Yahuah by thy estimation. 3) And thy estimation shall be of the male from twenty years old even unto sixty years old, even thy estimation shall be fifty shekels of silver, after the shekel of the sanctuary! 12) I said to them, “If it is good in your sight, give me my wages; but if not, never mind!” So they weighed out Thirty Shekels of silver as my wages. 13) Then Yahuah said to me, “Throw it to the potter, that magnificent price at which I was valued by them.” So I took the Thirty Shekels of silver and threw them to the potter in the House of Yahuah. 15) and said, “What are you willing to give me to betray Him to you?” And they weighed out Thirty Pieces of silver to him. 5) And he threw the pieces of silver into the temple sanctuary and departed; and he went away and hanged himself. 7) And they conferred together and with the money bought the Potter’s Field as a burial place for strangers. 8) For this reason that field has been called the Field of Blood to this day. ~ Yahusha is the Bridegroom, who loved His bride and gave Himself for her, but there is so much more to the story! Not only did He give Himself, but He also took the place of the Adulterous Bride and Drank of the Cup of Jealousy that she deserved. 15) Then shall the man bring his wife unto the Priest, and he shall bring her offering for her, the tenth part of an ephah of barley meal; he shall pour no oil upon it, nor put frankincense thereon; for it is an offering (cup) of Jealousy, an offering of memorial, bringing iniquity to remembrance. 22) And this water that causeth the Curse shall go into thy bowels, to make thy belly to swell, and thy thigh to rot: And the woman shall say, Amen, amen. 24) And he shall cause the woman to Drink the Bitter Water that causeth the Curse: and the water that causeth the Curse shall enter into her, and become Bitter. 26) And the Priest shall take an handful of the offering, even the memorial thereof, and burn it upon the altar, and afterward shall cause the woman to Drink the Water. 27) And when he hath made her to Drink the Water, then it shall come to pass, that, if she be defiled, and have done trespass against her husband, that the water that causeth the Curse shall enter into her, and become bitter, and her belly shall swell, and her thigh shall rot: and the woman shall be a Curse among her people. 28) And if the woman be not defiled, but be clean; then she shall be free, and shall conceive seed. 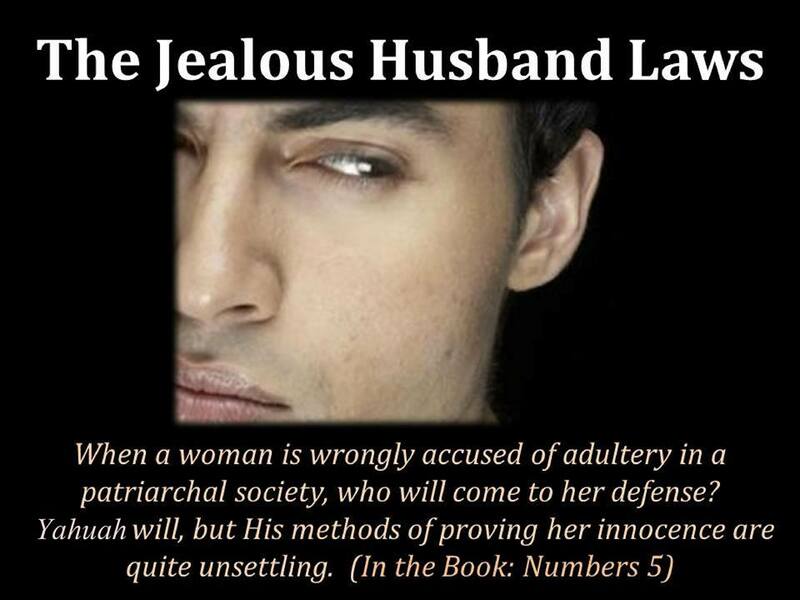 30) Or when the Spirit of Jealousy cometh upon him, and he be jealous over his wife, and shall set the woman before Yahuah, and the Priest shall execute upon her all this Law. 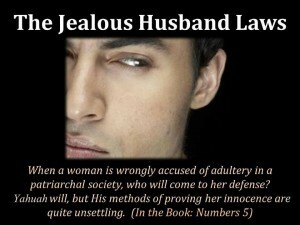 31) Then shall the man be guiltless from iniquity, and this woman shall bear her iniquity. ~ This is absolutely amazing! Remember what Yahusha prayed in the Garden? 38) Then saith He unto them, My soul is exceeding sorrowful, even unto death: tarry ye here, and watch with Me. 39) And He went a little farther, and fell on His face, and prayed, saying, O’ my Father, if it be possible, let this ‘CUP’ pass from me: nevertheless not as I will, but as thou wilt. 40) And He cometh unto the disciples, and findeth them asleep, and saith unto Peter, What, could ye not watch with Me one hour? 41) Watch and pray, that ye enter not into temptation: the spirit indeed is willing, but the flesh is weak. 42) He went away again the second time, and prayed, saying, O’ my Father, if this ‘CUP’ may not pass away from me, except I drink it, thy will be done. 43) And He came and found them asleep again: for their eyes were heavy. 44) And He left them, and went away again, and prayed the third time, saying the same words. 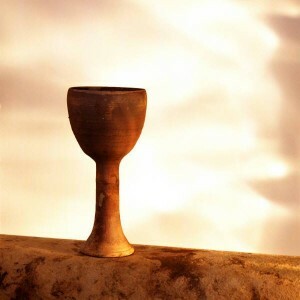 ~ Christianity (who lacks understanding from Torah) teaches “this Cup” was simply an idiom for the “Cup of Suffering” that it is the horrific pain of crucifixion (something from which anyone would pray to not have to “drink”). ~ But, when comparing it to the Book of Numbers and related portions from the Prophets and New Testament, It become apparent there is a deeper meaning to this “CUP” Yahusha asked to pass from Him! ~ We all know He was the “sinless Lamb” who took away our sins! But consider again the fact that He said He had come for the “Lost Sheep of the House of Israel” (Matthew 15:24) who is His adulterous Bride. ~ She is the one who deserved the Cup of Bitter Water, that would make her thighs rot and belly swell making her Cursed. That was her just punishment… that He took upon Himself! In order to take her sin, He had to take her Curse and Punishment. This is exactly what He did! 13) Messiah hath redeemed us from the Curse of the Law, being made a Curse for us: for it is written, Cursed is every one that hangeth on a tree! ~ And so it was the Groom that Drank of the Cup of Bitter Waters, sparing His adulterous Bride from the just Punishment and Curse that she deserved. 10) When Yahusha had lifted up himself, and saw none but the Woman, he said unto her, Woman, where are those thine accusers? Hath no man condemned thee? 11) She said, No man, Master. And Yahusha said unto her, Neither do I condemn thee: go, and sin no more. 8) There is therefore now no condemnation to them which are in Messiah Yahusha, who walk not after the flesh, but after the Spirit. ~ His love for you is more than we can even begin to imagine. If that doesn’t bring a tear to your eye, and an increased desire to love Him all the more, I don’t know what will. ~ An amazing contrast I found in the scriptures, in Isaiah 51 it mentions how Jerusalem has drunken of the Cup of Yahuah’s anger and how this Cup is to be removed from them, no more to be drunken again by them, and then given to Israel’s enemies! ISAIAH 51:17 – Awake, awake, stand up, O Jerusalem, which hast drunk at the hand of Yahuah the Cup of his fury; thou hast drunken the dregs of the Cup of trembling, and wrung them out! ISAIAH 51:20 – Thy sons have fainted, they lie at the head of all the streets, as a wild bull in a net: they are full of the fury of Yahuah, the rebuke of thy Aluah. ISAIAH 51:22 – Thus saith Yahuah, and thy Aluah that pleadeth the cause of his people, Behold, I have taken out of thine hand the Cup of trembling, even the dregs of the Cup of my fury; thou shalt no more drink it again! ISAIAH 51:23 – But I will put it (the cup) into the hand of them that afflict thee; which have said to thy soul, Bow down that we may go over: and thou hast laid thy body as the ground, and as the street, to them that went over. ~ In Jeremiah 51 we see Yahuah will use Mystery Babylon as a Golden Cup to make all the nations of the earth drink of the cup of Babylon! JEREMIAH 51:7 – Babylon hath been a Golden Cup in Yahuah’s hand that made all the earth drunken: the nations have Drunken of her Wine; therefore the nations are mad! REVELATION 17:4 – tells us what’s in the Golden Cup that the Nations are drinking! Keep in mind fornication in scripture means worshipping other God’s or Idolatry, for there are no other Gods! REVELATION 17:4 – And the woman was arrayed in purple and scarlet color, and decked with gold and precious stones and pearls, having a Golden Cup in her hand full of abominations and filthiness of her fornication! ~ The whole world Drinks of Babylon’s Cup, full of the wine of her fornications (Idolatry) and abominations (Horrible Sins as a result of that Idolatry). Since “Drinking of the Cup” means accepting whatever is appointed for one to experience — both good and bad, joyful or sorrowful — all who Drink of the Babylon Woman’s Cup will share in her future! The phrase “Drinking of the Cup” eventually symbolize the sharing of the consequences of what was in that cup! It also came to mean accepting what the king dealt out. REVELATION 14:8 – And there followed another angel, saying, Babylon is fallen, is fallen, that great city, because she made all nations Drink of the Wine of the Wrath of her fornication! REVELATION 18:3, 6 – For all Nations have drunk of the Wine of the Wrath of her fornication, and the kings of the earth have committed fornication with her, and the merchants of the earth are waxed rich through the abundance of her delicacies! 6) Reward her even as she rewarded you, and double unto her double according to her works: in the Cup which she hath filled fill to her Double! ~ Revelation 14:9-10 tells us that an angel will proclaim to the world that those with the mark of the beast shall drink the Wine of the Wrath of Yahuah! REVELATION 14:9-10 – And the third angel followed them, saying with a loud voice, If any man worship the beast and his image, and receive his mark in his forehead, or in his hand, 10) The same shall Drink of the Wine of the Wrath of Yahuah, which is poured out without mixture into the Cup of his Indignation; and he shall be tormented with ‘Fire and Brimstone’ in the presence of the holy angels, and in the presence of the Lamb! ~ Psalm 75:7-8 and Psalm 11:6-7 appear to be verses related to the pouring of the Wine of Yahuah’s Wrath on the Wicked. Giving us insights on how Yahuah will pour out His Wrath! PSALM 75:7-8 – But Yahuah is the Judge: He putteth down one, and setteth up another. 8) For in the Hand of Yahuah there is a Cup, and the Wine is Red; it is full of mixture; and He poureth out of the same: but the dregs thereof, all the Wicked of the Earth shall wring them out, and Drink them! PSALM 11:6-7 – Upon the Wicked He shall rain snares, ‘Fire and Brimstone’, and a horrible Tempest: this shall be the Portion of their Cup! 7) For the righteous Yahuah loveth righteousness; His countenance doth behold the upright. REVELATION 16:19 – The Great City was divided into three parts, and the Cities of the Nations fell! Babylon the Great was remembered in the sight of Yahuah, to give to her the Cup of the Wine of the Fierceness of His Wrath! ~ In Jeremiah 25:15-27, Jeremiah is told to take the Cup of Yahuah’s Fury and cause All the Nations He will send him to Drink of this Cup! The Term, “All the Nations Whom I will send” seems to show this may not mean every Nation in the Whole World, He tells Jeremiah what nations! JEREMIAH 25:15-27 – For thus saith Yahuah, Aluahym of Israel unto me; Take the Wine Cup of this fury at my hand, and cause All the Nations, to whom I send thee, to Drink it! 16) And they shall Drink, and be moved, and be mad, because of the sword that I will send among them! 27) Therefore thou shalt say unto them, Thus saith the KING of Hosts, the G-d of Israel; Drink ye, and be Drunken, and spue, and fall, and rise no more, because of the sword which I will send among you! 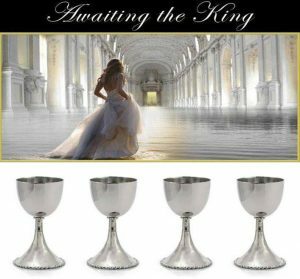 28) And it shall be, if they refuse to take the Cup at thine hand to Drink, then shalt thou say unto them, Thus saith the KING of Hosts; Ye shall certainly Drink! 29) For, lo, I begin to bring evil on the city which is called by my name, and should you be utterly unpunished? Ye shall not be unpunished: for I will call for a Sword upon all the inhabitants of the earth, saith the KING of Hosts! 30) Therefore Prophesy thou against them all these words, and say unto them, Yahuah shall roar from on high, and utter His voice from his holy habitation; He shall mightily roar upon his habitation; He shall give a shout, as they that tread the grapes, against all the inhabitants of the earth! ~ The modern equivalents of the Nations specifically mentioned in Jeremiah 25:15-27, today are all Muslim countries! They all Drink of the same Wine, and Drink from the same Cup! All the Muslim Nations do! Nevertheless, Mystery Babylon that being Saudi Arabia indeed has all the nations of the world Drinking its Wine! The Nations of the world are supporting Islam richly by buying their Oil! Thus many nations and cities reliant on Saudi Arabia for Oil will fall and suffer when Arabia is destroyed, a result of Yahuah’s Cup of Wrath! OBADIAH 1:15-16 – “The Day of the LORD (Yahuah) is near for all nations [not yet happened]. As you have done, it will be done to you; your deeds will return upon your own head. 16) Just as you [Esau] Drank [experience wrath. judgment] on my holy hill [Israel], so all the Nations will Drink continually; they will Drink and Drink and be as if they had never been! ~ We want to also point out that the nations specifically mentioned in Jeremiah 25 are also mentioned in Psalm 83, and the Gog War Confederates! ~ Yet Jeremiah 25:26 says, “And All the kings of the north, – (Assyria, Turkey, Meshech, Tubal) far and near, one with another, and all the kingdoms of the world, which are upon the face of the earth!) This would most certainly include The Gog Coalition! MATTHEW 26:39-44 – And he went a little farther, and fell on his face, and prayed, saying, O my Father, if it be possible, let this Cup pass from me: nevertheless not as I will, but as thou wilt. 42) He went away again the second time, and prayed, saying, O my Father, if this Cup may not pass away from me, except I Drink it, thy will be done! 44) And he left them, and went away again, and prayed the third time, saying the same words! ~ What was this “Cup” that Yahusha asked might pass from Him if it was His Father’s will? Was He, in a moment of weakness, asking His Father to prevent Him from going through the coming hours of physical torture? This is doubtful considering that Yahusha, with the fullest knowledge and foresight of all the horrible details, had spent His entire human lifetime, and millennia prior to it, in preparation for this day! 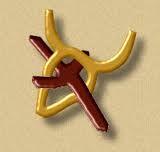 ~ The word “Pass” is translated from the Greek verb, “parerchomai,” which can refer to the passage of time. From this, we can deduce that Yahusha may have been asking His Father to make the time it would take to complete this awful “Drink” pass as quickly as possible, but even then, only if it fit in with His Father’s perfect will. ~ Here is a list of 365 Prophesies from the Tanakh (old testament) about Yahusha being the Messiah! It shows the Prophecy with scripture reference and how it was fulfilled by Yahusha (also with references). ~ Be Baruch, Shalom Saints!